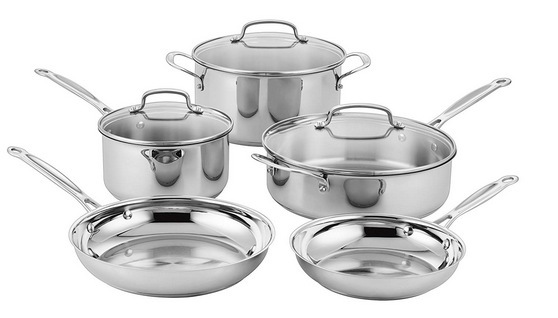 Cuisinart Classic Stainless Steel Cookware Set (8-Piece) only $99.99 shipped! In the market for a new cookware set? Don’t miss this amazing deal on Cuisinart Classic Stainless Steel Cookware! Amazon has this Cuisinart Classic Stainless Steel Cookware Set (8-Piece) for only $99.99 shipped today – the lowest price ever on record! This set includes a 2.5-quart saucepan, a 4-quart sauce pan, a 6-quart stock pot, 8″ skillet, and 10″ skillet. Valid today only, March 13, 2019. « Maars Classic Insulated Skinny Tumblers (4 pack) only $8.76!